This article was originally posted on app.com on October 12, 2014. 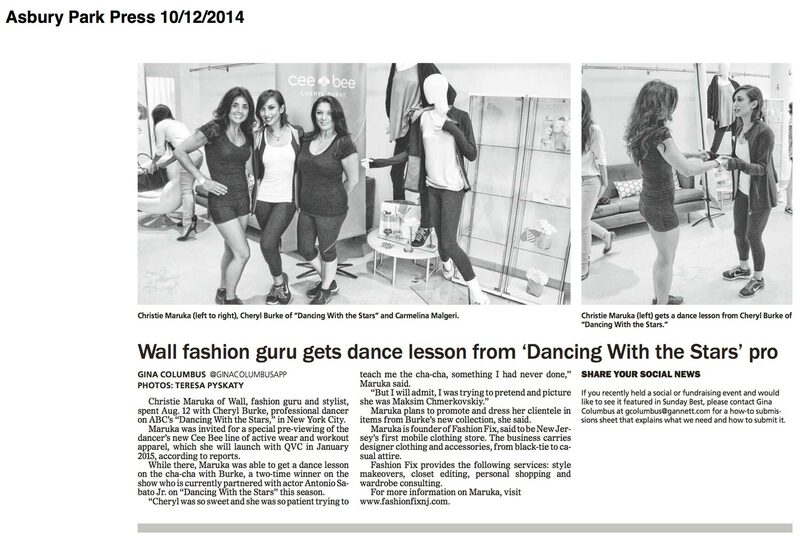 Also, see more about Christie Maruka and Cheryl Burke in this newspaper article from Asbury Park Press, October 12, 2014. Christie with Cheryl Burke of dancing with the stars. Christie Maruka of Wall, fashion guru and stylist, spent Aug. 12 with Cheryl Burke, professional dancer on ABC’s “Dancing With the Stars,” in New York City. Maruka was invited for a special pre-viewing of the dancer’s new Cee Bee line of active wear and workout apparel, which she will launch with QVC in January 2015, according to reports. While there, Maruka was able to get a dance lesson on the “Cha-Cha” with Burke, a two-time winner on the show who is currently partnered with actor Antonio Sabato Jr. on “Dancing With the Stars” this season. Maruka plans to promote and dress her clientele in items from Burke’s new collection, she said. Maruka is founder of Fashion Fix, said to be New Jersey’s first mobile clothing store. The business carries designer clothing and accessories, from black-tie to casual attire. Fashion Fix provides the following services: style makeovers, closet editing, personal shopping and wardrobe consulting. 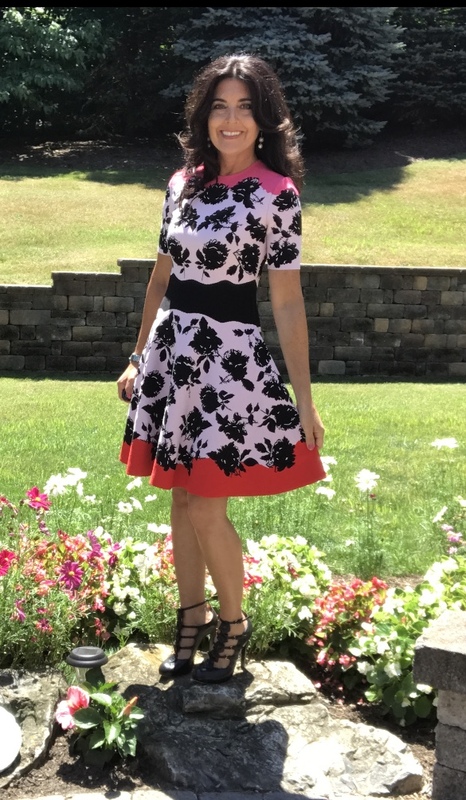 I have immersed myself in fashion as a stylist and wardrobe expert for three decades having been obsessed with fashion at a very young age. I love all types and styles of clothing including couture and contemporary, but have a penchant for anything glamorous, classic or vintage. As a life-long fitness enthusiast and deprivation-free health advocate, I enjoy sharing my love of cooking, working out and the promoting of a positive body image. It is a rewarding feeling to help clients achieve their desired look and see their confidence soar. Enter your email address below to subscribe to this blog and receive notifications of new posts. Kate Spade & the Company honored at Fashion Week! New York Fashion Week Begins! Anna Wintour and Nike Collab! Are you ready for this?